A few years into my bookkeeping business, I had a huge aha. Over and over new clients would come to me and tell me all of the reasons that they couldn’t work with their previous bookkeeping service. And while many of them were legit reasons (I am not getting timely reports, they can’t answer the questions I have about my numbers, etc.) there were a few other ‘complaints’ that really stuck out to me and created a pattern. I wondered why it seemed that there was this HUGE industry of bookkeeping companies, and so many clients that really needed their services, and most clients seemed that weren’t all that happy with the services they were getting. Because, here’s the thing – I absolutely believe that good numbers are critical to the success of any business, and you can’t have good numbers without support in that area of your business. A bookkeeper or a CPA is typically the first hire that people encourage you to make in your business. And it’s also the source of much of the frustration that I see entrepreneurs experiencing in their business. Because many times, it can seem as if your financial team is speaking to you in Greek, right? And it can totally make you feel like you are a numbers-moron. That you will never understand this part of your business. It’s not you. It’s just a Kolbe conflict. And you can fix it so easily by learning more about your Kolbe profile and how to leverage it in your business. This totally applies to your business too – even if you aren’t a bookkeeper. I want you to think about your Kolbe profile (and if you don’t know it, go here to find out) and what the Kolbe profile is of your ideal client. Are you in conflict from the beginning? How can you set up your relationship to avoid those conflicts? If you can work with your clients in their strengths, that’s where the true magic happens and the results they experience in their work with you increase exponentially. Start to notice the things that are consistent issues that you complain about your clients doing/not doing. (are you a coach who feels like your clients are asking too many questions before taking action? Do you want to communicate via email and they want to always talk on the phone?) These are all things that relate to their Kolbe. Describe the clients who are experiencing the most success with you. Look at their Kolbe profiles and see if there’s a trend there. Did you know you can write the copy on your website + host sales conversations that are geared towards a certain Kolbe profile so you attract more of them?. Think about the words you use to describe your ideal client. Are any of them indicators of a certain Kolbe profile? 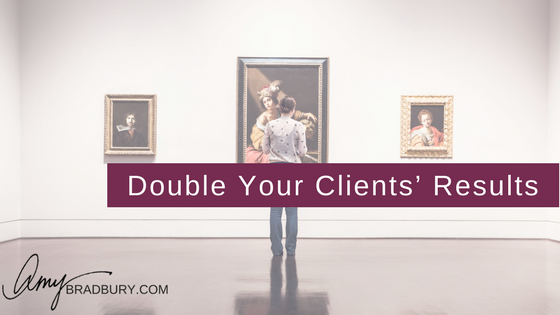 An important note: this extends to your team too, if they are working with your clients! We talk about Kolbe with all members of my team and my bookkeepers understand how to work with each client based on their profile. This is critical. My QuickStart clients lovingly tell me that they think I should call our services “Bookkeeping for QuickStarts” so that more QuickStarts can find me. What those clients don’t know is that because we have such a unique way of working with our clients, we adapt to each client’s Kolbe to create a truly personalized, custom experience for each of them. So each client feels as if we are the perfect match for their Kolbe. It’s really magical, the results are amazing – and I encourage you to try it in your business too! Comment below and let me know how you think you could address the struggles you have with your clients using their Kolbe profiles. I would love to hear from you!